Scientists have discovered ancient fossils of what may be a new human species in jungle cave in the Philippines. These ancient fossils are called Homo luzonensis. The new discovered remains (teeth and bones) have never been seen together in one species. [Although modern humans, Homo sapiens, are now the only surviving branch of the genus Homo, other species of humans once roamed across Earth. For example, previous research suggested Homo erectus, the most likely ancestor of modern humans, made its way out of Africa by at least 1.8 million years ago. In contrast, modern humans may have only begun dispersing from Africa roughly 200,000 years ago]. Approximately 15 years ago scientists revealed an unusual extinct human species from the Indonesian island of Flores — Homo floresiensis, often called “the hobbit” due to its diminutive size. These extinct human species hinted that other hominins — any relatives of modern humans dating from after our ancestors split from those of chimpanzees — might await discovery in Southeast Asia. 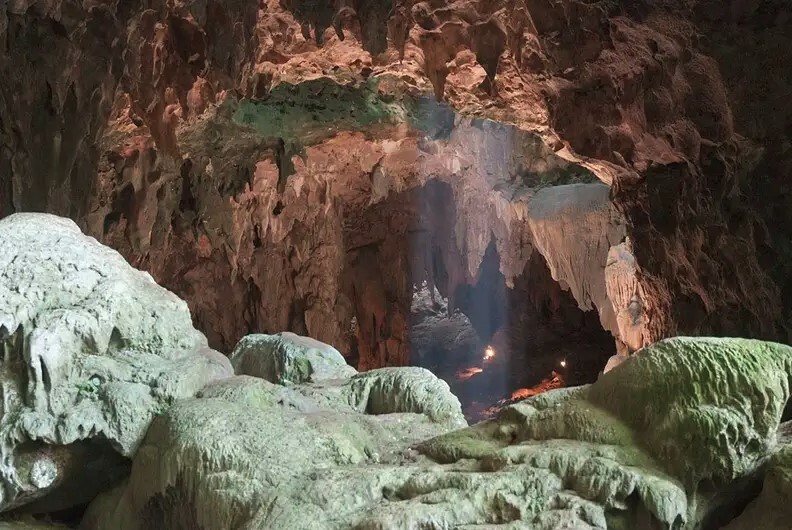 And in 2010, scientists discovered a single 67,000-year-old foot bone that suggested hominins once lived in Callao Cave on Luzon, the largest island in the Philippines. “Now knowing there were all these other hominins surviving 50,000 to 100,000 years ago — Neanderthals and Denisovans, Homo floresiensis and now Homo luzonensis — reveals how much diversity we’ve lost,” said paleoanthropologist Matthew Tocheri at Lakehead University in Ontario, who did not take part in this research.